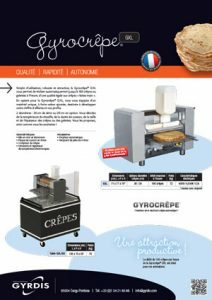 Easy to use, sturdy and attractive, the Gyrocrêpe® GXlL will automatically make up to 180 sweet or savoury pancakes per hour, with a quality equal to handmade pancakes. 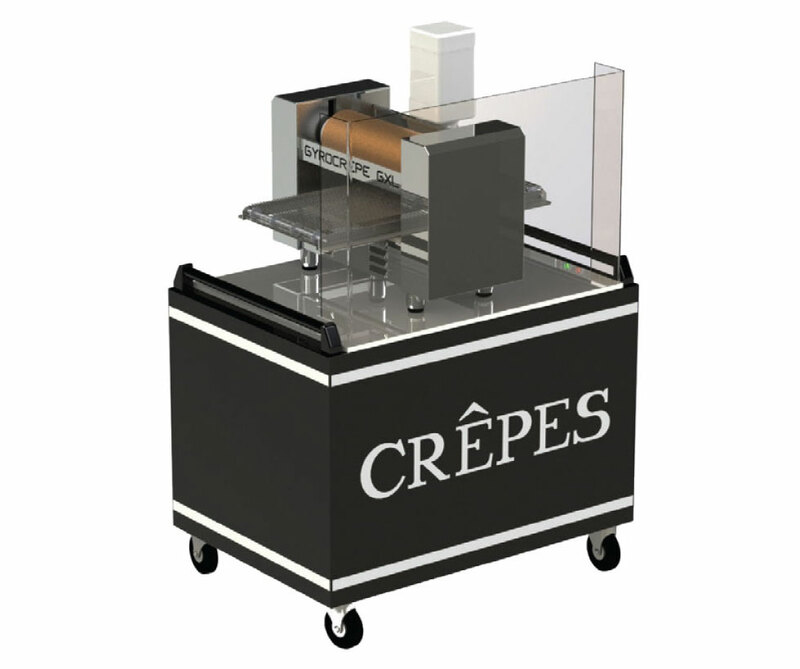 With a Gyrocrêpe® GXL you will acquire a unique piece of equipment with high added value, designed to boost your sales and profits. 2 diameters: 36 cm as standard, or 30 cm as an option. 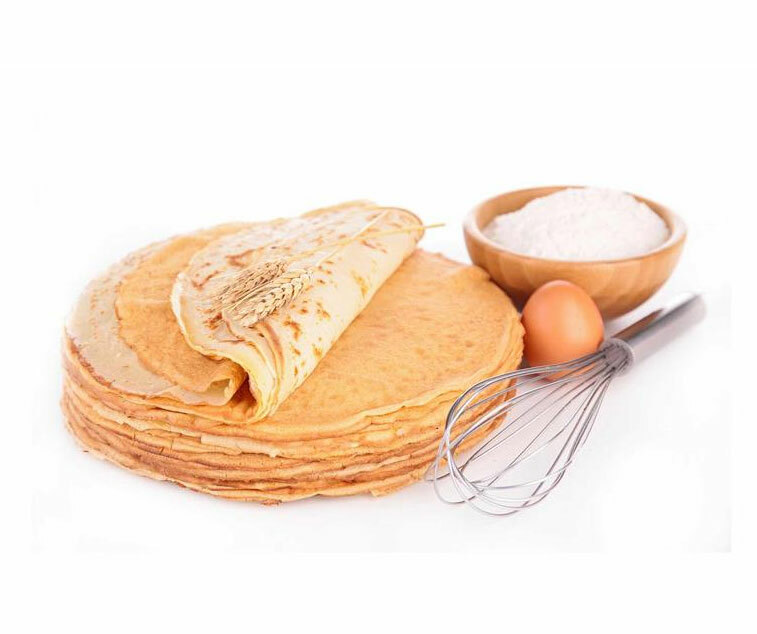 You set the heating temperature, cooking time and the size and thickness of your sweet or savoury pancakes. You can thus offer your pancakes as you wish! 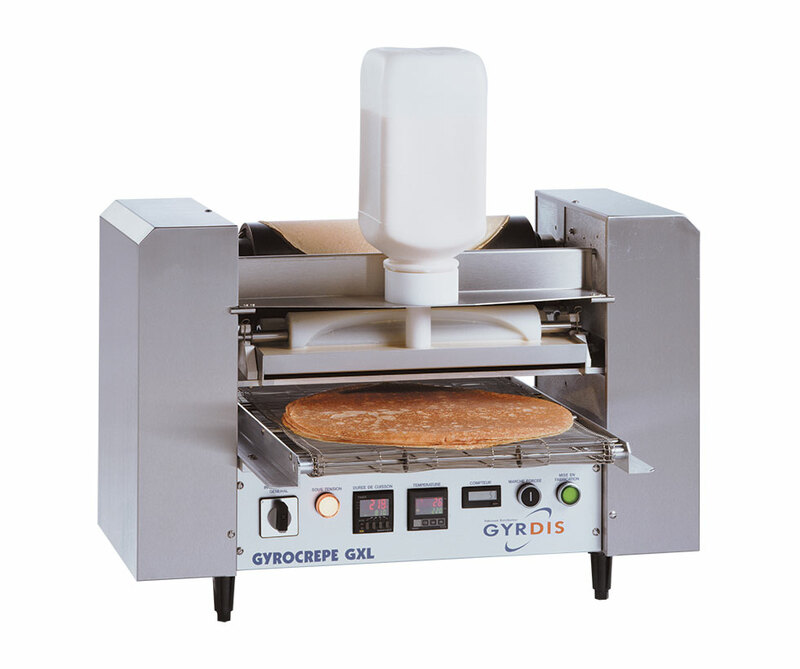 The Gyrocrêpe® GXL’s output rate of 180 pancakes per hour is ideal for your events. 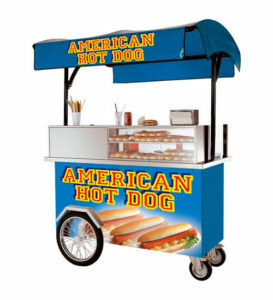 Used with our mixes of with traditional batter!